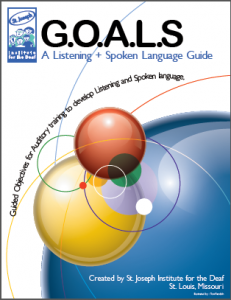 This guide is designed for speech language pathologists and educators working with children with hearing loss to develop listening and spoken language in a systematic approach. The G.O.A.L.S. guide is $79, plus shipping and handling. You can also download additional resources for $15.00. Call us at 317-471-8560 or email Marty. This marvelous resource is for any professional new in the field or anyone in it up to their ankles. Our very own Cheryl Broekelmann, MA, LSLS Cert AVeD, authored a chapter which highlights tele therapy and her observations of families in our iHear program. Here’s an excerpt from the book. Wanna buy this excellent resource? Click here to connect with Brookes Publishing. Anderson, K. & Arnoldi, K. (2011). Building Skills for Success in the Fast-Paced Classroom. Hillsboro, OR: Butte Publications. Bradham, T. & Houston, K.(Eds.) (2014). Assessing Listening and Spoken Language in Children with Hearing Loss. San Diego, CA: Plural Publishing. Broekelmann, Cheryl L. (2012). iHear® Internet Therapy Program: A Program by St. Joseph Institute for the Deaf, The Volta Review, 112, 417-422. Broekelmann, C. & Ertmer, D. (2015 in press). Internet Therapy: Providing Listening and Spoken Language Development in Children who are Deaf or Hard of Hearing. In Moeller, M.P., Ertmer, D, & Stoel-Gammon, C. (Eds.) Contemporary Methods for Promoting Speech and Language Development in Children Who are Deaf or Hard of Hearing. Maryland:Paul H Brookes. Broekelmann, C & Ertmer, D (2016). Internet Therapy: Providing Listening and Spoken Language Intervention to Children who are Deaf and Hard of Hearing. 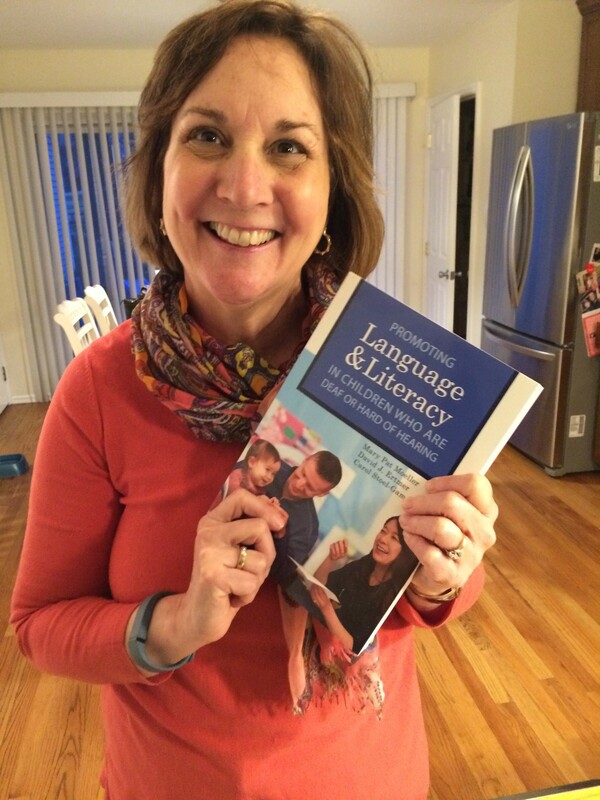 Promoting Language and Literacy in Children who are Deaf or Hard of Hearing. Brookes Publishing. Estabrooks, W. (Ed.). (1994). Auditory-Verbal Therapy and Practice. Washington, DC: Alexander Graham Bell Association for the Deaf. Madell, J. & Flexer, C. (2008). Pediatric Audiology: Diagnosis, Technology, and Educational Assessment. New York, NY: Thieme. Wilkes, E. (1999). Cottage Acquisition Scales for Listening, Language, & Speech. San Antonio, TX: Sunshine Cottage School for Deaf Children.